Unlock your creativity and photographic potential! Photo editing is not a tough job, but also it is in vogue. Those old days are gone, when people thought image editing is done only in Adobe Photoshop and Paint. In fact, photo editing has become much simpler in Windows phone due to amazing apps, only a few clicks are required for giving an awesome look to an image. The apps have exciting effects in Windows phone; most of them include a fantastic camera, especially in Nokia 808 or Lumia 520. 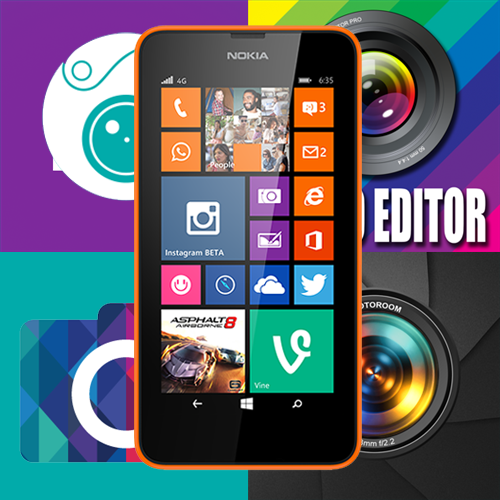 Thus, we have a list of top 10 photo editing apps for your Windows Phone. We believe that all Windows Phone users will love these wonderful applications. Indeed, these editing apps let to fine-tune your pictures and even customize it with cool effects and filters. There is a horde of amazing photo editing apps for Windows Phone to add excellence into your photographs! Apart from that, there are some camera applications, which give advanced image-editing features along with the camera. Fotor is a cross-platform photo editing application, which comes with various beautiful and unique effects. So be ready to apply a variety of preset effects, make collages of your favorite photographs and make them innovative by inserting templates from the template gallery. Really, it is simple to use and has an intuitive user interface. Fotor offers cool effects in different categories, select the best according to your choice. 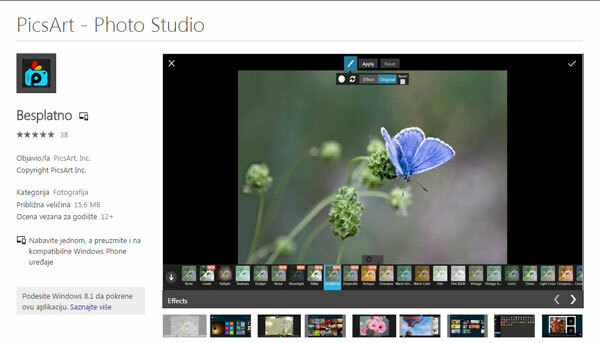 The photo-editing application is compatible with Windows Phone 8 or Windows Phone 8.1. Cherish up your memories! PicsArt is another a best choice for making charming photo edits and capturing images with the camera. 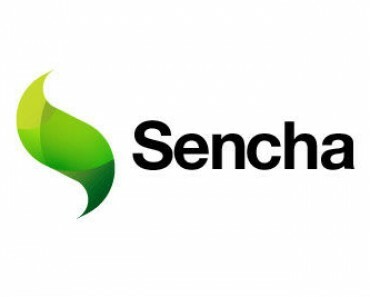 It is not only a photo editor, but also a social networking platform, where creative people will find their peer groups. This collage maker enables to make beautiful images anywhere, anytime. Transform your snaps into works of art and let the world discover them. PicsArt makes the process of applying effects much easier for newbies. It is a peerless way to add spark to your photos, make them outstanding and more special. PhotoFunia is a web based application, so you should have an Internet connection to edit your photos. You only need to select your photo, select an effect you love from 300 different effects, and PhotoFunia will handle the rest for you! More so, it has a face recognition feature which makes things much easier. Tons of wonderful effects for your photographs! SuperPhoto requires Internet connection to work, but it offers a wide variety of effects you can apply to the photos or to the Facebook photos. It contains a bit more innovative effects as compared to other photo-editing apps. With a single click, you will have endless fun and transform your images into amazing art pieces. Additionally, it has categorized sections into frames, patterns, textures, and filters; therefore you can apply them without jumbling up. Show your inner artist with the artistic expression tool! Fantasia Painter is the best and most complete photo editing and painting application for Windows Phone. Here you can apply numerous effects to your snaps as well as you can use your creative skills to paint your photos by using different brushes. It is a great application for kids and adults and compatible with Windows Phone 7 and later. It is another free photo-editing application, which comes with multiple sections such as effects, drawing, photo editor, cropping, adding text, stickers and much more. Unfortunately, it will be a bit poor in term of features as compared to Android & iOS’ Aviary Photo Editor. Nonetheless, it focuses on photo editing. As the name suggests, PicSketch lets to convert photo into sketches with few clicks. In other words, it is a must have application, which converts your images into superb realistic pencil style drawings. Select from over 50 different sketch styles to get magical results. Through PicSketch, you can adjust contrast, intensity, outlines and brightness. After changes done, you can share the results with your friends and followers with a few taps. It integrates the power of Windows Phone with the popular photo editing technique, formally known as selective coloring. Show and hide color with the touch of your finger! Make impressive images through uncovering the natural color within your photographs. If you want extra creativity, then you can use brightness and saturation sliders to change the color of your photo. 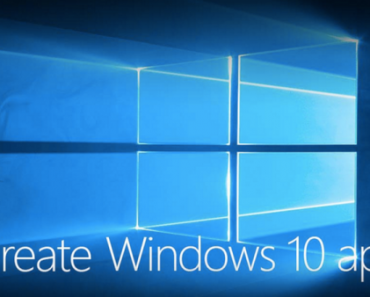 If you have a device running on Windows 7.5, you can install this application. Make good-looking collages of your photos! Phototastic is specially designed for creating fabulous collages by using photos you have in the photo gallery. It includes more than 30 effects like set custom backgrounds to frames, ability to add stickers, etc. Phototastic packed with unlimited possibilities to create your fantastic photo collage. As the name defines, it is a camera application and also works as an excellent photo editor. Camera360 is best for those, who like to take impressive photos, edit them, and even publish them. If we talk about the camera feature, it gives a creative compass tool, which helps to capture stunning photographs in no time. To install Camera360, you should have a device running on Windows Phone 8/8.1. Gitanjali is an experienced technical content writer. She is working with a computer repair service provider company and likes to write unique and informative article about Windows 10 & smart phones and how to protect these devices from virus & hackers attack etc. Wow Excellent Apps! i will use it. Thanks for sharing.